A workshop conducted by Sheila Wee not to be missed! Storytelling is a powerful tool to promote children’s intellectual, emotional and social development. Join Shelia Wee, the ”Godmother of Singapore storytelling” in this series of storytelling workshops. 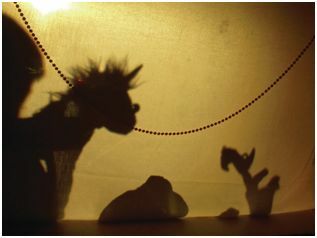 You will also learn how to use simple props to create new stories and play story games that will nurture the development of language skills and liven up your stories. Not only will this workshop get you up and telling with confidence, you can also put all the activities straight into use in your classroom and enhance students' interest and creativity. Simply click here to register for this workshop and for more information. Sheila Wee has been a professional storyteller since 1999 and has been described as a Godmother of Singapore storytelling. She co-founded Singapore’s first storytelling circle, its first professional storytelling company and is the President of the Storytelling Association (Singapore). Sheila is enthusiastic about passing on her skills and her highly-practical workshops have garnered consistently high ratings from participants. 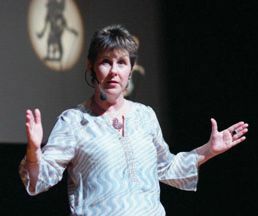 One of the main focuses of her work has been in schools, working with both teachers and students inspiring them to want to tell stories and giving them the skills to do so. As well as working in schools and in the wider community in Singapore, Sheila also works internationally, and has performed and conducted workshops at festivals, conferences and seminars in Australia, Hong Kong, Indonesia, Malaysia, the Philippines, Thailand and the UK.